Just four months after Canadian Confederation, Laurence and Johannah's son Thomas Morrissey married Mary Callaghan on 20 November 1867 at St. Patrick's Church. Thomas was twenty-four years old, Mary was twenty-two years old. Of Laurence and Johannah's six children it is their son Thomas and their daughter Margaret about whom we have the most information. Two of Laurence and Johannah's other four children, Mary and Michael, died young, in 1861. Two sons, both named Patrick, have disappeared from our sight; however, there is a William Patrick Morrissey buried with Laurence and Johannah who may be one of the 'two Patricks'. 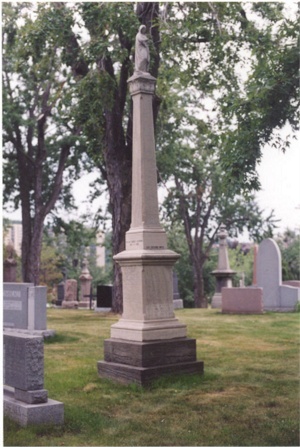 William Patrick Morrissey was buried on 10 July 1883. Thomas's half brother, John Laurence Morrissey died probably on 30 September 1915. Thomas Morrissey began his working life as a plumber. For much of his life, Thomas worked as a brass finisher and by 1893 as a foreman, for the Robert Mitchell Company which manufactured 'gas and electric light fixtures.' In 1908 the company was located on the corner of Belair Avenue and St. James West in St. Henry. Their show room was at 598 Ste. Catherine Street West. Thomas and Mary had eleven children. The Morrisseys and the Callaghans must have been on friendly terms long before the two families were joined in marriage. 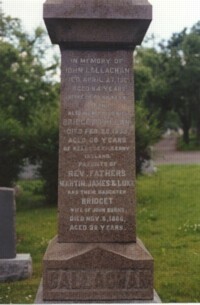 Laurence Morrissey was one of the two baptismal sponsors for John Callaghan and Bridget Phelan's son John Michael Callaghan, on 20 April 1862. Perhaps Laurence met Thomas's father, John Callaghan, as early as the late 1840s when both were employed as shoe makers. In 1867, after they married, Thomas and Mary lived at 36 Vallee, across the street from Thomas's father, Laurence. Valee Street was located on the present site of Complexe Desjardins, across the street from Place des Arts, in downtown Montreal. In 1870 Thomas and Mary lived at 35 Vallee; and from 1884 to 1892 they lived at 45 Hermine Street, one block east of St. Alexander near St. Patrick's Church. The site of their home on Hermine is now a parking lot, and the Ville Marie Expressway divides the street into two parts, the southern part not much more than a short lane. By 1893 the family lived at 78 Plymouth Grove and then at 80 Plymouth Grove from 1895 to 1896. Plymouth Grove is another street that disappeared for the construction of the Ville Marie Expressway. In 1896 the family moved to 532 St. Antoine Street, in St. Cunegonde (just east of Atwater). Let us now take a little journey of where Thomas and Mary lived in Montreal after several of their children became independent. In 1895, Thomas and Mary still lived on Plymouth Grove. 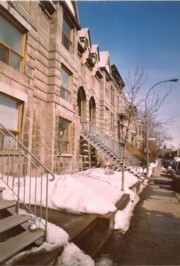 In 1896 Thomas and Mary moved to 532 St. Antoine Street in St. Cunegonde. The large French Canadian Catholic church of St. Cungegonde is located at the corner of St. Jacques and Vinet Street. The family attended the nearby St. Anthony's Church, which was on St. Antoine Street and was demolished in the 1960s. Their son Michael Charles, a bookkeeper, is listed in Lovell's Directory as living with them at that time. 532 St. Antoine is approximately between Atwater Street on the west and Mountain Street on the east. By 1898, their son John Martin Morrissey, my grandfather, had married and was living west of them at 572 St. Antoine Street (now numbered 3072 St. Antoine), but in St. Henry. Today, neither St. Henry nor St. Cungegonde exist as separate municipalities, both were amalgamated by the City of Montreal. In 1903 Thomas and Mary, and at least one of their sons, Michael Charles, moved to 3 Iberville Square in St. Cunegonde. Iberville Square Street no longer exists, but there is still an Iberville Square, with a statue of Iberville, across the street from St. Cunegonde Church on St. Antoine Street. Other sons were living at home when Mary died in 1905 and Thomas moved to 64 Agnes in St. Henry. Lovell's Directory notes that in 1906 not only was Thomas living at 64 Agnes, but so were his sons Luke (born 19 January 1885), Michael Charles (born 13 November 1869), and Thomas Laurence (born 28 January 1879), none of whom seem to have married. The first of Thomas and Mary's eleven children was Mary Ann Morrissey who was born in 1868. 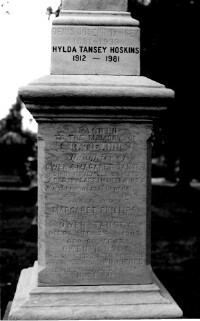 Mary Ann married Alex Clapperton on 16 May 1893 at St. Anthony's Church in St. Cunegonde; his parents were Robert Clapperton and Jane O'Hagan. Mary Ann Morrissey and Robert Clapperton lived on Hallowell Street, but only a short section of the street is still extant in St. Henry and that is between Selby and St. Antoine Street. Just across St. Antoine Street Hallowell becomes Rose de Lima Avenue in St. Henry, and this is only a few blocks from where my grandparents moved after they married in 1895. One of Mary Ann Morrissey and Alex Clapperton's children, Eileen Clapperton, married Armand Oakes at St. Leon's Church in Westmount. They lived for many years at 4203 Hampton Avenue, in N.D.G. The Morrisseys and the Clappertons were very close. For instance, the two families visited often and socialized together. 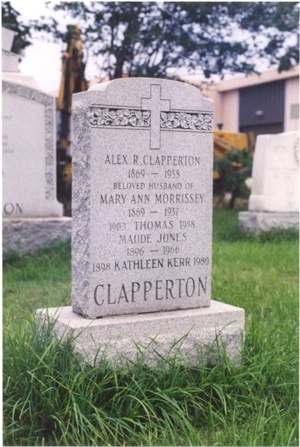 When Stella, the daughter of Martin Morrissey and the niece of Mary Ann died, she was buried in the Clapperton family plot. Armand Oakes died in 1982. Eileen Oakes died on 17 February 2001, in her one hundreth year. Eileen and Armand had five children, twelve grandchildren, and twelve great-grandchildren. (See Appendix Five and Six). 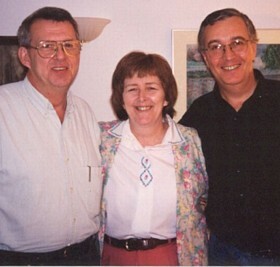 Important to the family was the presence of three of Mary Callaghan's brothers, Martin, James, and Luke Callaghan, who became prominent priests in Montreal. Special attention must be given to the priests regarding their achievements in the priesthood; these achievements are made even more impressive when we remember their humble social origin. To avoid confusion caused by the three priests having the same surname, they were known familiarly by their first names, Father Martin, Father James, and Father Luke. 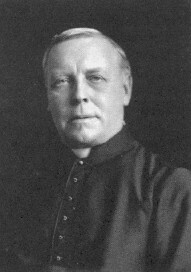 Father Martin Callaghan was born on 20 November 1846 in Montreal. He attended the Petit Seminaire du College de Montreal (1860-1868) and he studied at the Grand Seminaire from 1869-1872. He was ordained a priest in 1872 and the following year he asked his Bishop to be allowed to enter the Sulpician Order for further training. The Sulpicians are a secular order, dedicated to training priests, but are not allowed to recruit priests to their order. Sulpician priests are referred to as "The Gentlemen of St. Sulpice" and are addressed as 'Monsieur'. Father Martin served as an auxiliary professor at the College de Montreal from 1872-1874. He served as vicar at St. Patrick's Church from 1875-1902; from 1902-1908 he was the pastor at St. Patrick's. He resigned from St. Patrick's in 1908 after thirty-five years service and was designated confessor of the Freres des Ecoles chretiennes. He also served at Notre Dame Church from 1908 to 1915 where he occasionally worked as a minister. Father Martin was dedicated to helping the poor and the working class, the class from which he came. He was also renowned for converting people to the Catholic faith; a church biography of Father Martin states, "par le nombre des convertis estimes par les statistiques les plus moderees a 3,000," which includes "protestants, juifs, Negres, Chinois". In 1915, upon returning to Montreal from Baltimore where he assisted at a funeral for another priest, Father Martin fell ill; this soon developed into congested lungs. Father Martin died on 10 June 1915 in his sixty-ninth year. His brother, Father Luke Callaghan, sang the mass at Father Martin's funeral. 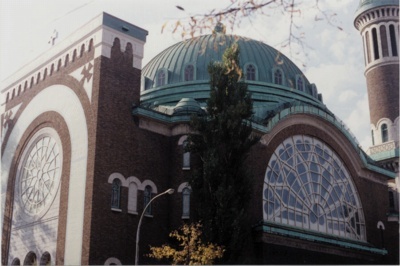 One booklet describes the funeral: "A large cortege of mourners accompanied his remains to their last resting place beneath the chapel of the Grand Seminary on Sherbrooke Street." 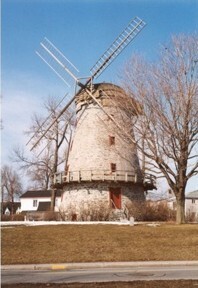 Father Martin was also an authority Canadian on folklore and for a number of years he was the owner of the Fleming Windmill, an historical landmark located in Ville LaSalle. Father James was professor of ecclesiastical studies at the Grand Seminary of Baltimore, Maryland (1896-1897), and in his last years he served as the chaplain at Hotel Dieu Hospital and the Royal Victoria Hospital (1897-1900). He died of kidney failure at Hotel-Dieu Hospital on 7 February 1901, age 51 years. He is described in a church biography as having a beautiful soul, as being innocent and open to other people, full of spontaneity, and as a man who is not guarded or calculating. Father Luke Callaghan was considerably younger than his two older brothers who served as priests. He was born on 2 February 1865 in Montreal. He studied at the College de Montreal from 1877-1884, and then at the Grand Seminaire to 1889 where he studied philosophy and theology. After having been ordained he was chaplain at L'Hotel Dieu Hospital and the Royal Victoria Hospital. In 1895 he left for Rome where he earned a doctorate in theology from Urban University. In 1898 he was assistant Chancellor at the Archbishop's Palace which is situated on De La Gauchetiere and he resided at 873 De La Gauchetiere. In 1903 he served at St. Patrick's, under his brother Father Martin Callaghan. Father Luke remained at St. Patrick's until at least 1907, when he returned to Rome to continue his studies. In September 1904, Father Luke had the honour of delivering the first sermon ever given in English at Notre Dame Basilica. In 1907 he returned to his position as Vice Chancellor at the Archbishop's Palace, residing at 471 De La Gauchetiere West. From 1910-1931 Father Luke was the parish priest at St. Michael's Church and lived at 1634 St. Denis. 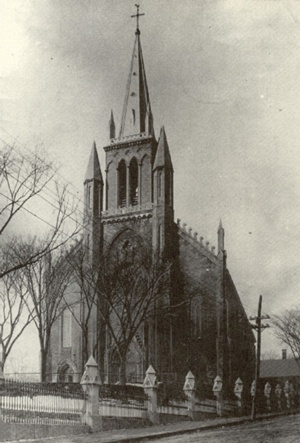 Money for the building of St. Michael's Church was raised by Father Luke and came largely from Irish parishoners who moved from Griffintown to this area of Montreal, the area of St. Viateur Street, St. Denis Street, and Clarke Street. 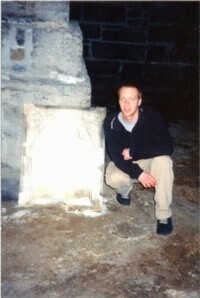 Father Luke proved to be both an excellent administrator and beloved priest. A landmark in Montreal, the impressive St. Michael's is constructed in the Byzantine style of architecture, modelled on the Basilica of Saint Sophia in Constantinople. Father Luke Callaghan died 12 April 1931 at the age of sixty-three years. Died: 27 April 1906, buried at Notre Dame des Neiges Cemetery, Montreal. Wife's father's name: John Callaghan, 1821-1905, buried at Notre Dame des Neiges Cemetery, Montreal. Wife's mother's name: Bridget Phelan, 1822-1890, buried at Notre Dame des Neiges Cemetery, Montreal. See below for information on the Callaghan family. Died: on 17 February 2001 in her one hundreth year. Children: The children of Margaret Morrissey and Patrick Tansey include Hylda Tansey. Note: Jessie (5) and Nellie (6) were twins. According to the 1861 and 1901 censuses, Mary Callaghan was born in Newfoundland. Mary's parents John Callaghan, a shoemaker by trade, and his wife Bridget Phelan were possibly born in the village of Kells, County Kilkenny, Ireland; John in 1821, and Bridget in 1822. 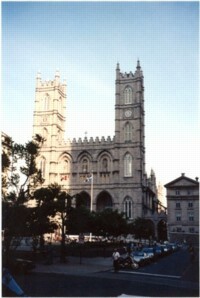 The family arrived in Montreal around 1845. In 1861 the Callaghan family lived at 30 St. George Street; in 1870 at 50 St. George Street; and in 1881 at 46 1/2 St. George Street. In fact, the family lived for fifty years at various addresses on St. George Street. St. George Street is now part of Jeanne Mance Street, and the Callaghans lived just a few blocks from where Laurence Morrissey's family lived on Valee in 1866-1867. During his life, John Callaghan was a member of the Third Order of St. Francis. He died at the home of his son-in-law, Thomas Morrissey. Note: He became a priest. Married: Edith May Cooke on 3 June 1919.